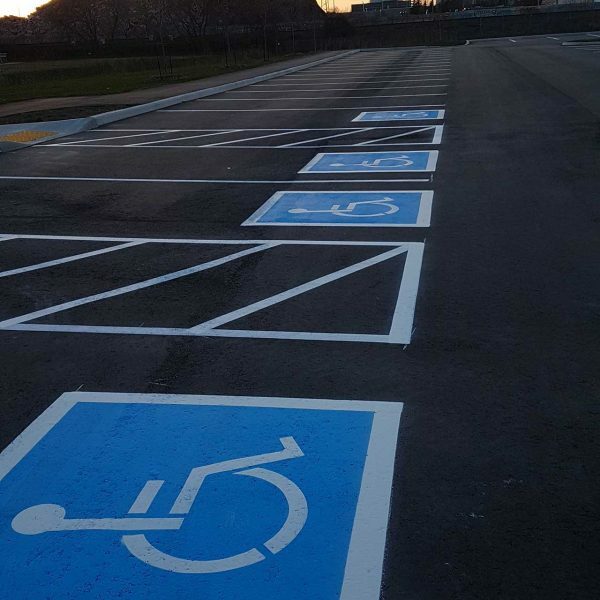 Pavement marking and line painting begins with key questions. 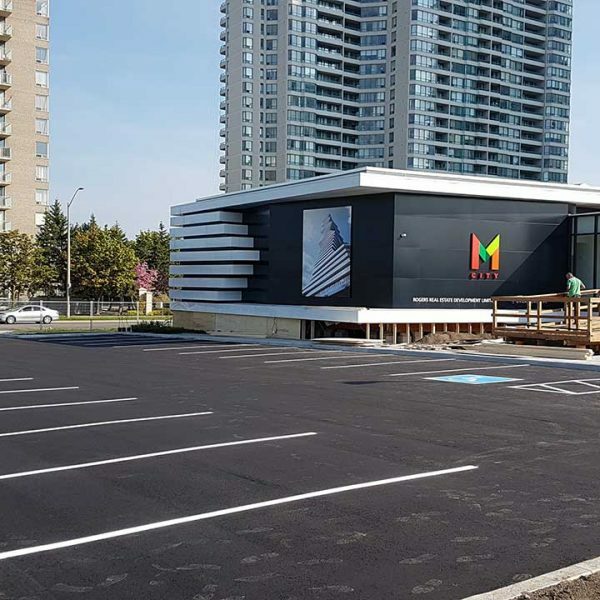 Space Considerations: How many parking spaces? How many accessible stalls? What is the regulated width of parking stalls and driveways? Paint Considerations: What type of paint do you use? How quick does the paint dry? How long does the paint last? Surface Considerations: What are your application limits? How do you prepare a surface? How do you remove unwanted markings? 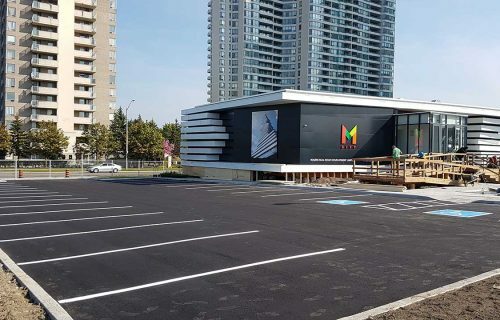 Municipal by-laws specify different parking standards for different uses. 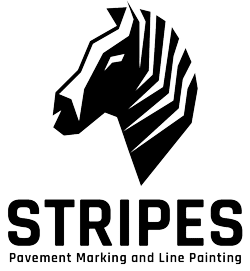 Stripes understands the specific requirements for each GTA municipality. Check your municipality’s website for details on your specific project requirements. That depends on the size and use of the area. Zoning by-laws prescribe different approaches for different uses. Calculate the parking required based on the GFA and parking rate. 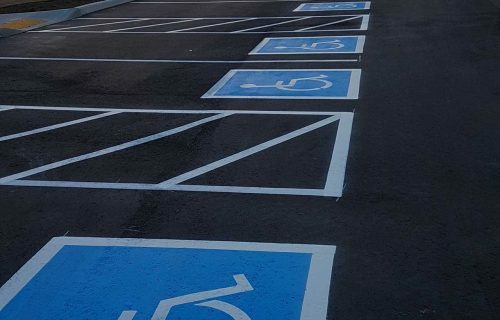 Medical buildings are generally required to allocate 10% of their total parking stalls for accessible parking. There are few exceptions and variances, so it’s best to look at the particular by-law(s) for your location. The rules differ among municipalities. 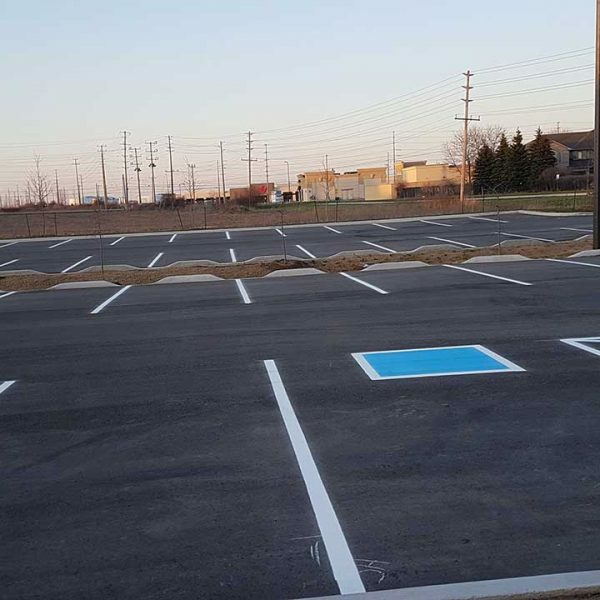 Always check the zoning by-law for a specific location. 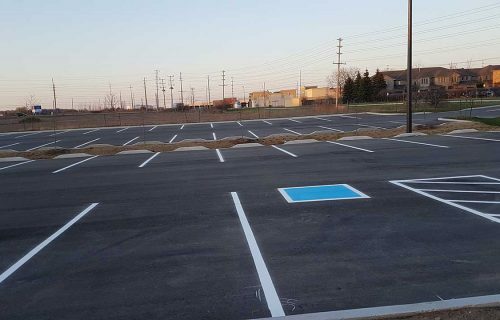 Please note: Brampton is the only GTA municipality requiring the accessible parking symbol painted in blue and white colours. All other municipalities allow either blue & white or blue & yellow schematics.